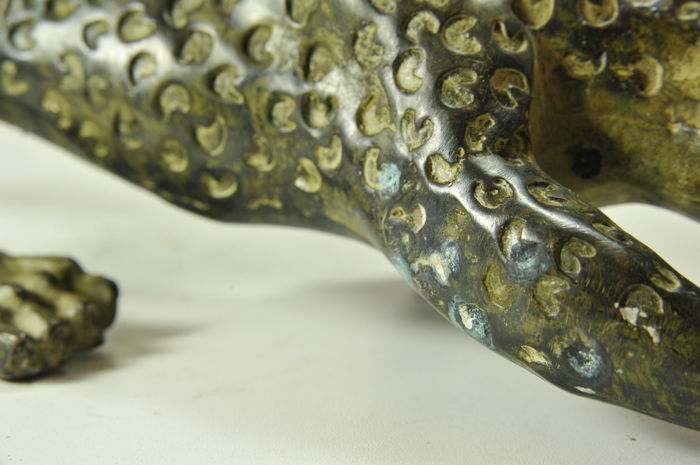 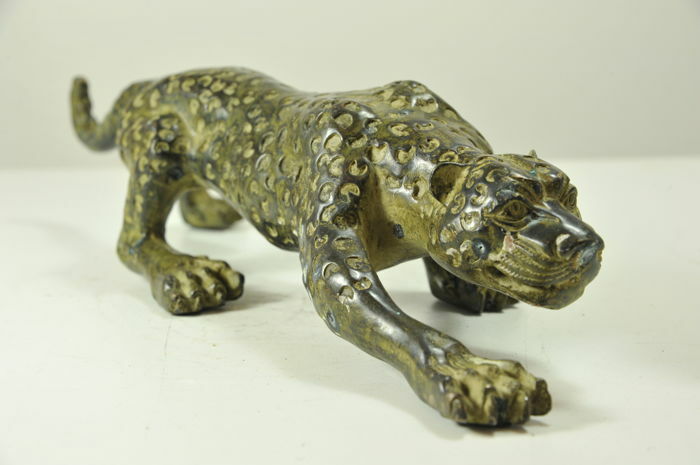 Panther in authentic bronze in Art Deco style with a beautiful patina. 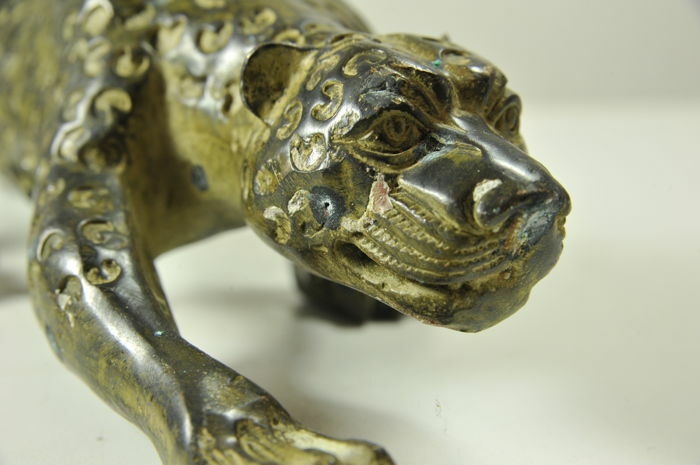 Panther in good condition with beautiful decoration. 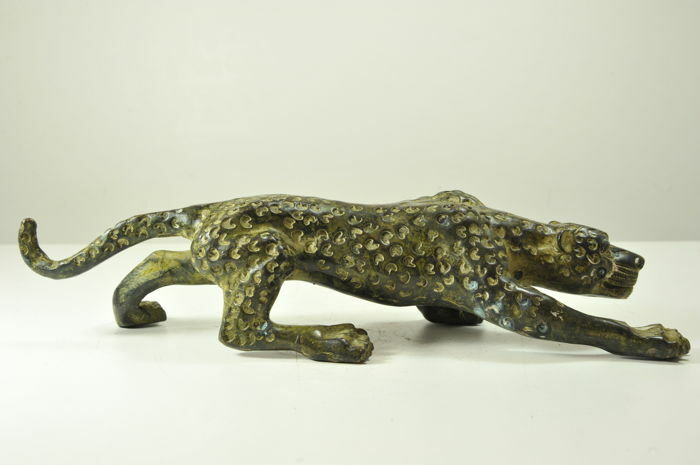 Fine workmanship, the expression and posture of the Panther are of particular intensity. 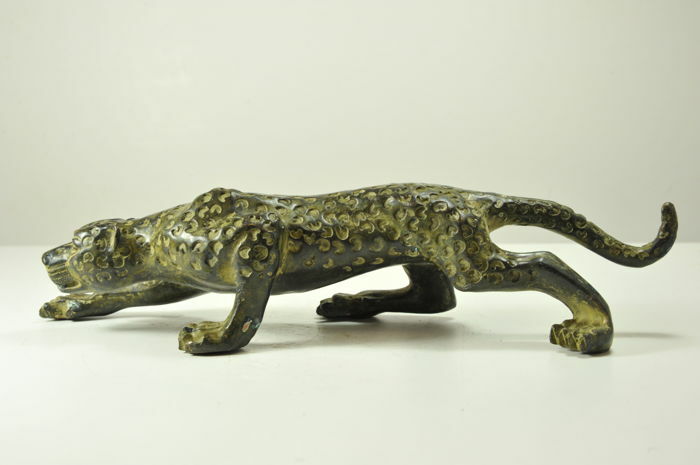 Reasonable condition , spots of corrosion may differ from images. 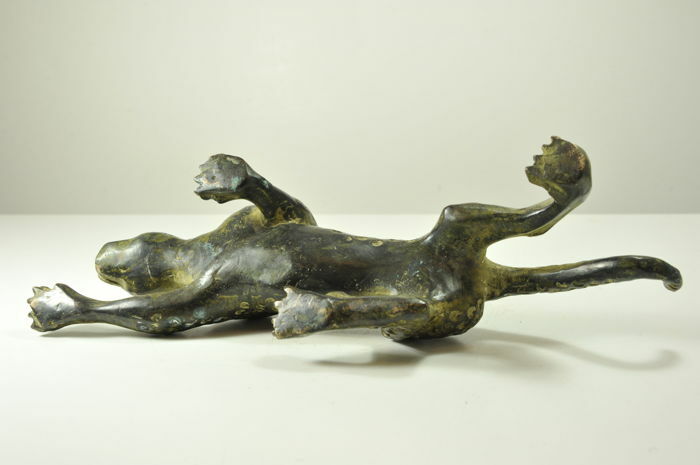 The item is ready for international shipment with UPS and is also available for self-collection in Berlin. Germany.